When it comes to interior design, window blinds are primary decorating tools. Experts encourage the use of units that are made of wood or those that come with wooden look because it somewhat affixes feelings of coziness as well as warmth to an ordinary room atmosphere. They also add a sense of privacy without the need to spend a lot. In addition to the above mentioned attributes, wooden blinds play essential roles in making a room more aesthetically appealing. They are revered because their durability, versatility, and warmth. Some units are also personally crafted to complement any room atmosphere. 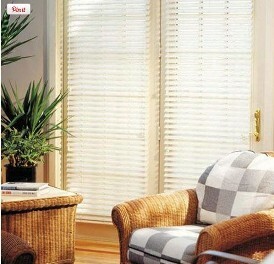 Wooden blinds deliver a natural look to a mundane looking room and at the same time add grace and charm. Interior design experts advise that they look a lot better than conventional shutters or curtains. Wooden blinds do not only look good from the inside, they also look exceptionally well from the outside. Aside from their aesthetic qualities, they are also very functional and can act as good insulators from cold or heat. For moist areas like bathrooms, faux-wood blinds or units that look exactly the same as wooden blinds can be used. In general, the wooden blinds that is out on the market come in two kinds of wood: Bass wood and Ramin wood. Those that are made of bass wood are more preferred because they are stronger and come with more distinctive look. Blinds that are made of bass can be specifically designed to eliminate small holes which make them ideal for those who want to achieve a really dark setting.On the other hand, window blinds that are made of Ramin are more affordable and usually come with two to three inch valances to effectively hide metal head railings. Vertical blinds, faux-wood blinds, woven wood blinds, and mini blinds are some of models that can be purchased almost anywhere. They also come in different colours, stains, and shapes, among others. They also come with innovative features like motorized, light-blocking, and anti-static. Homeowners who want to purchase wooden blinds can visit the nearest improvement centres and home interior stores. They can even obtain them via the Internet from tried and tested companies so that they won’t have to leave their homes. Purchasing blinds nowadays have become really easy and interested individuals do not have to exert too much effort for them.